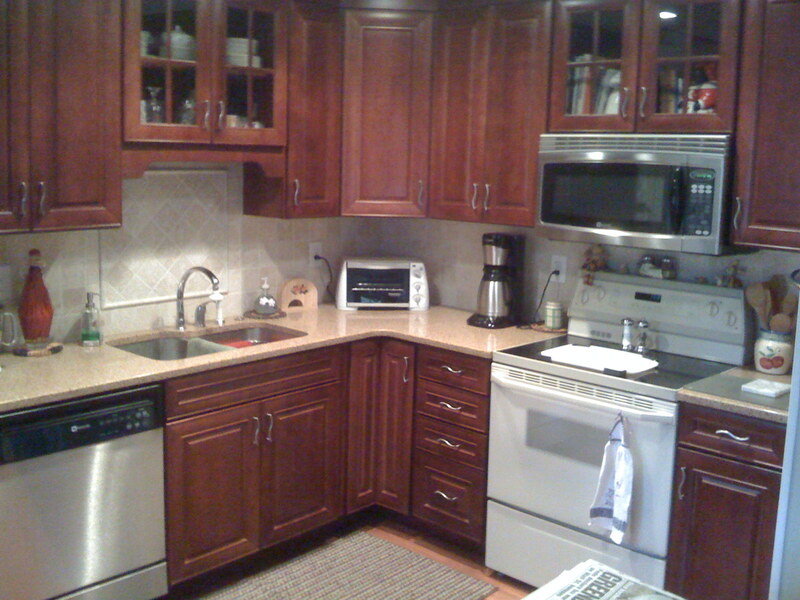 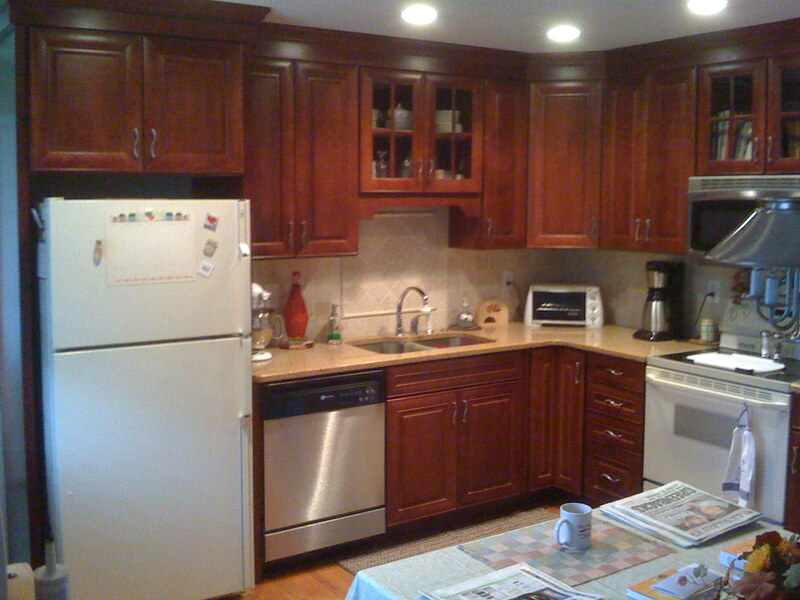 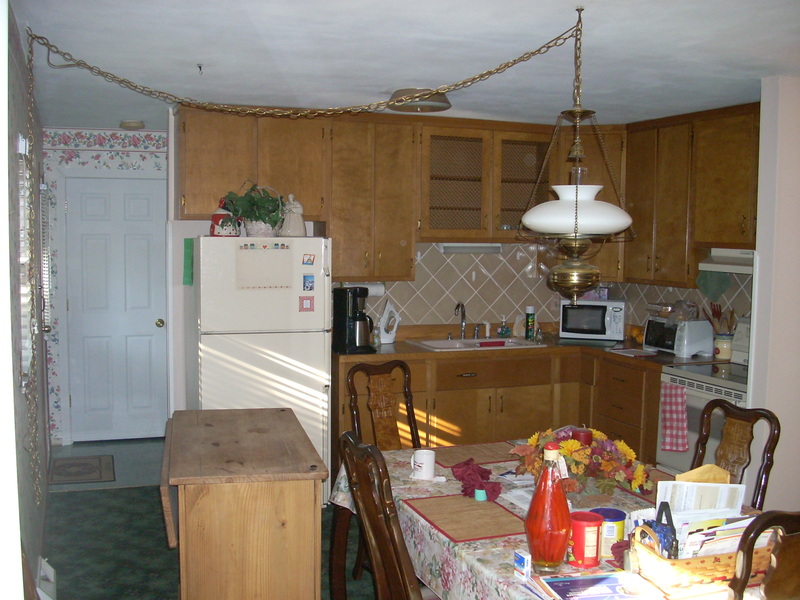 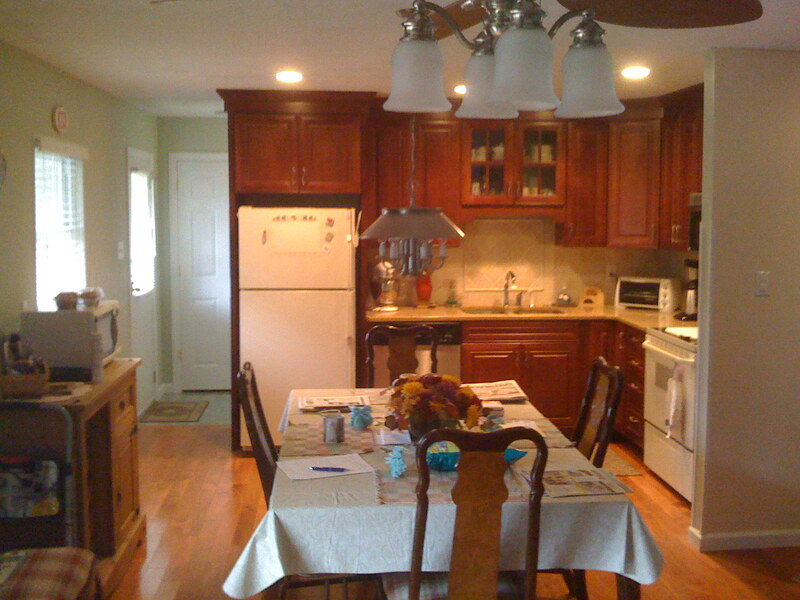 This home had an existing original kitchen, common throughout Clifton Park, which was actually still in decent shape. 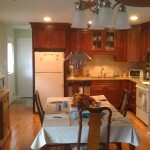 The homeowners, however, were ready for a change! 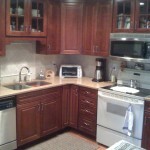 We completely renovated the space including new recessed lighting, beautiful new cherry cabinets, quartz counters, a gorgeous tile backsplash, new sink and faucet, and medium toned cherry hardwood flooring. 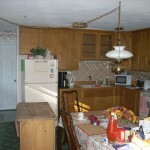 We also removed the old wallpaper from the walls and repainted the entire space. 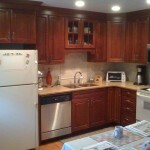 This is a good example of the difference new cabinetry and counters can make without changing the basic footprint of the kitchen.